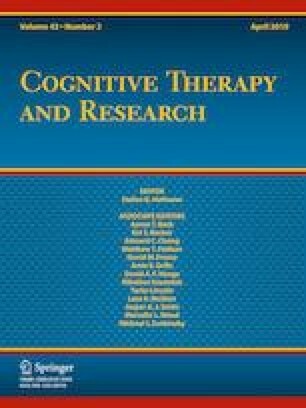 Previous evidence suggests an association between negative cognitive styles and suicide-related outcomes. Recently, Acute Suicidal Affective Disturbance (ASAD) was proposed to characterize the phenomenology of acute suicidal crises, with key features being the rapid onset of suicidal intent, social- or self-alienation, perceptions of intractability, and overarousal. ASAD may account for the association between negative cognitive styles and suicide-related outcomes. Students (N = 177) selectively recruited based on their history of suicidality completed self-report measures. ASAD symptoms explained the association between rumination subtypes (brooding and reflection), as well as anxiety sensitivity cognitive concerns, and lifetime number of suicide attempts. Further, ASAD symptoms significantly accounted for the relationship between a latent negative cognitive styles variable and lifetime number of suicide attempts. Together, these findings are consistent with theoretical conceptions of negative cognitive styles being an associated feature of ASAD, and that ASAD symptoms may account for the relationship between negative cognitive styles and suicidal behavior. This work was in part supported by the Military Suicide Research Consortium, an effort supported by the Department of Defense (W81XWH-10-2-0181; W81XWH-16-2-003). Opinions, interpretations, conclusions, and recommendations are those of the authors and are not necessarily endorsed by the Military Suicide Research Consortium or the Department of Defense. Megan Rogers, Raymond Tucker, Keyne Law, Brian Bauer, Caitlin Smith, Daniel Capron, Michael Anestis, and Thomas Joiner declares that they have no conflict of interest. Centers for Disease Control and Prevention [CDC]. (2016). WISQARS: Web-based inquiry statistics query and reporting system. Retrieved from http://www.cdc.gov/ncipc/wisqars/default.htm. Kerkhof, A., & van Spijker, B. (2011). Worrying and rumination as proximal risk factors for suicidal behaviour. In R. C. O’Connor, S. Platt, & J. Gordon (Eds. ), International handbook of suicide prevention (pp. 199–209). Wiley, Hoboken. Retrieved from http://onlinelibrary.wiley.com/doi/10.1002/9781119998556.ch12/summary.